The 2MS Sale was a Great Success! Event was a Great Success! The 5th Annual 2 Mustard Seeds Resale Event, held from Sept. 14-16th, 2017, was a great success! We exceeded our sales goal for this year and even surpassed sales from the previous years, which all translates to helping even more Kenyan students to be able to attend high school. This brings us one step closer to purchasing another rental property, which generates self-sustaining matching scholarship funds for the 2 Mustard Seeds Program. The success of this sale was in large part due to all of you. We want to specifically thank, Melissa Martin and Missy Veeck who were the co-leaders for this year’s sale and we also want to extend our heartfelt gratitude in thanking all who came out to shop, volunteer, donate and consign this year! We cannot put on an event of this magnitude without your help. Thanks so much for partnering with us to help make a difference in the lives of students in Kenya. Don’t forget us when you clean out your closets this Fall! We collect donations year round for this annual resale event. Remember to “Like” our 2 Mustard Seeds page on Facebook to help us reach more people, or contact us if you would like to be added to the 2 Mustard Seeds mailing list! 2 Mustard Seeds exists to give hope and a future to children in rural Kenya by providing scholarships and enabling them to attain high school educations. 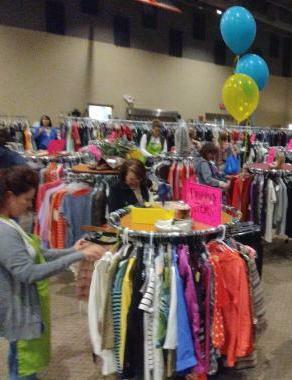 Proceeds from our sales event benefit the 2 Mustard Seeds Scholarship Program, a project of Expansion International. 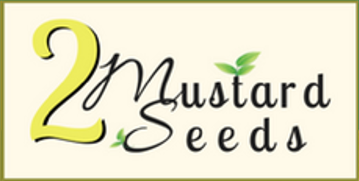 To learn more, visit our 2 Mustard Seeds website. ← The Build Hope Fundraising Dinner has Moved to the Spring!